I'm David Caddy: Programmer, writer, robotics student and ever-hopeful Richmond Tigers supporter. Go Tiges! It would seem the reaction to Apple’s recent announcement concerning their entry into the wearables market has be mostly positive, which I did not predict while following the event. We’ve already seen many wrist-worn devices come out from a multitude of manufactures over the last couple of years but with the possible exception of the recent Android Wear devices from Samsung, LG and most notably Motorola, these gadgets have fallen seriously short in so many areas that they have been the envy of only the most die-hard tech enthusiasts. The Moto 360 deserves special mention for being a rather sharp looking little device with a round LCD, quite novel even in 2014, but the question still remains: What value does strapping something to my arm, which I’ll have to remember to charge every day or two, provide over the phone I already have in my pocket? So far I’m yet to be convinced, I never really had that I have to have that moment while watching the Apple’s keynote apart from maybe when they were pitching the fitness angle, but even then aside from recording my heart rate my phone can do all that. Jonny Ive has again done great work but for me the value proposition remains allusive. Perhaps once battery technology advances to the point where I can have a watch that lasts weeks not days and the price comes way down it’ll become a no-brainer, but I wonder how far away that day may be. So I won’t be getting one right? Well no, I almost certainly will be, just like millions of others and that’s the point. Regardless of the current limitations this is a new platform, certainly something to get excited about and with the weight of Apple behind it there will be users and the chance for developers to carve out a new place for themselves. Looking at our current portfolio at Armchair Engineering it may be difficult to see what if any of our apps makes sense on a small screen but there are opportunities there. Of course this sort of hardware also opens up an abundance of new possibilities making it a compelling device to any developer looking to sink their teeth into watch kit and create something for this new wave of computing. 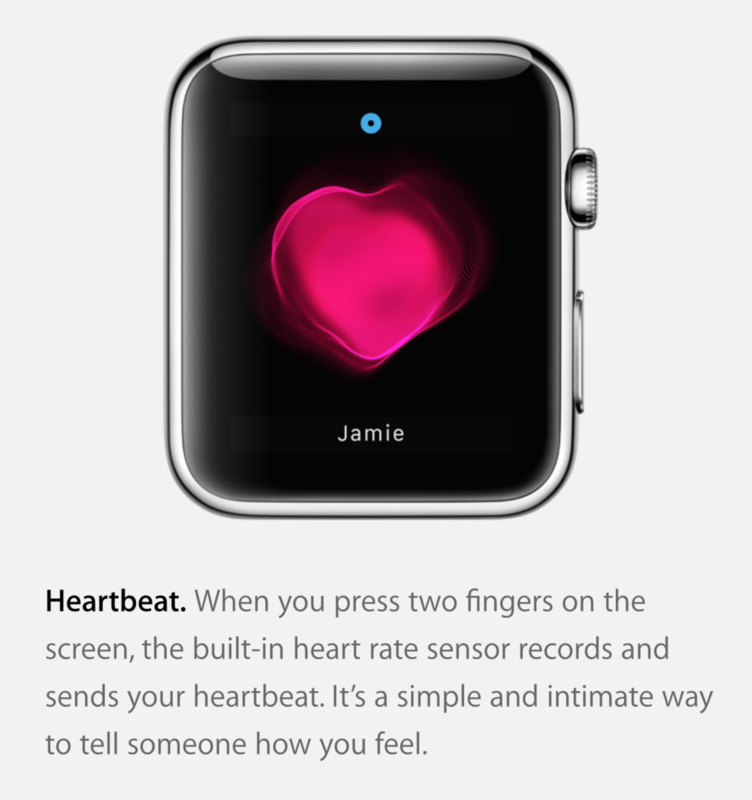 I’d still suggest most should hold off initially as the second generation will undoubtedly be a significant jump over what Apple previewed last week, but hey maybe you’ve just been dying to send your heartbeat to that certain someone.